Home Employee Training Sales Enablement: What Is It and Why Is It Important? Sales Enablement: What Is It and Why Is It Important? Increasing sales productivity can be tough. In scenarios when quotas are not hit and customer retention is low, where do you start to troubleshoot? One good question to ask is “How enabled is your Sales Team?” 72% of the top-performing companies who have exceeded their revenue targets have a solid sales enablement system in place. These companies recognize the crucial role that their front-line salespeople play in driving sales productivity and have invested in technologies that help them with their job. Simply put, it is the process of empowering your salespeople by giving them access to the content and tools they need to successfully close a deal. They are provided valuable information and strategies from Marketing and other departments that enable them to understand their buyer better and deliver the right action to specific contexts throughout the buying process. It can take many formats like training, coaching, strategy development, content database, etc. depending on your company’s objectives. Setting up a system needs full support with regards to implementation and funding to make it successful. Everyone needs to understand what the system is for in order to maximize its benefits. Here are some reasons why it makes a worthwhile investment. No more wasted time and resources in randomly contacting prospective buyers. Using the right tools, your sales team can zero in on qualified leads and offer them the account or product that best suits their profile. A deep understanding of your buyer persona will equip your sellers with the right tools to have more meaningful conversations with your buyers. They’ll be able to provide valuable information about the product that will help justify the purchase. Sales enablement instills confidence among your salespeople in building lasting relationships with key decision makers. Learning about marketing content, data analytics and brand messaging makes them competent enough to engage senior management. 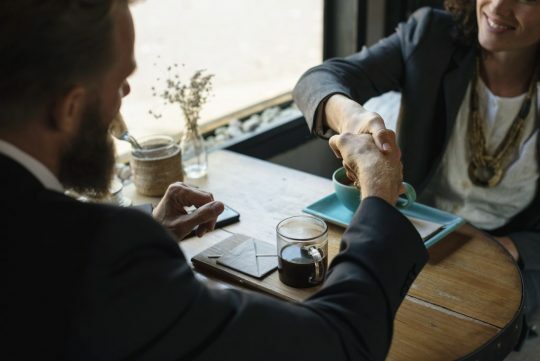 Strong connections lead to more closed deals. The platform can be set up to track the activities of your sales team and their performance status. It identifies what content is most frequently accessed and informs any adjustments to the target market messaging. 90% of marketing content is not used not because they are not relevant. It is because they are disorganized. Having a system that consolidates these resources makes it easy for your salespeople to access the information they need when they need it. Sales enablement is instrumental to driving your revenue. It builds expertise among your salespeople so they will be more effective and consistent in delivering outstanding results. Content, training materials, coaching tools, sales tactics, and many others can take the form of learning software, MOOC or on-demand video. CircleHD can provide corporate learning solutions that are tailored to your organization’s sales goals. Our team of experts can set up online courses for your sales training and video playlists that your sales team can access on-the-go using their mobile. The integrated data analytics and social collaboration platforms will allow you to quickly monitor progress and gather ideas and feedback from other teams. Schedule an appointment with us now so we can demonstrate amazing tools you can utilize to reach and even surpass your revenue targets. Many companies, if not most, have values on the walls instead of them being felt in the halls. This will not help you create a human company. Recruitment is a tough game. Getting it right the first time is critical. Rushing and getting it wrong can have huge costs.